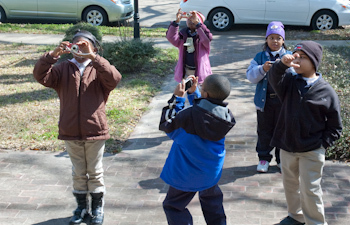 Last spring, I worked with second graders at Davis Magnet School to document their school neighborhood through digital photography. The students’ photographs were compiled into a photo book, using Blurb.com. It is beautiful. You can preview Davis on the Map and buy a copy if you’d like. Here are some photographs of the students taking pictures. You can look at their photographs on the gallery page of my website, too. 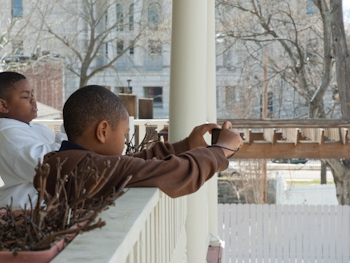 Next week, I’ll be meeting with teams from two more Jackson schools to begin planning two more photography arts integration projects. This work is funded by the Ask for More Arts Collaborative, which is led by Parents for Public Schools of Greater Jackson. 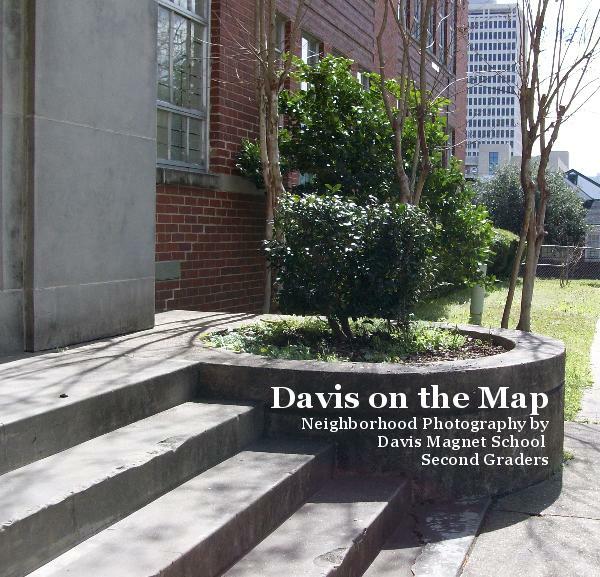 I wrote several posts about the Davis on the Map project. I am looking forward to working with new classes of students. Taking photographs with digital cameras is so much fun! What a wonderful way to complete this project, Sarah. Great work!